Για εκείνους που θέλουν να απολαύσουν τα αξιοθέατα και τους ήχους της πόλης Σατούν, το Pimarn Guesthouse είναι η ιδανική επιλογή. Από εδώ, οι επισκέπτες μπορούν να έχουν άμεση πρόσβαση σε όλα όσα η πόλη έχει να προσφέρει. Με την βολική του τοποθεσία, το ξενοδοχείο προσφέρει εύκολη πρόσβαση στους προορισμούς της πόλης που πρέπει οπωσδήποτε να δείτε. Επωφεληθείτε από ένα πλήθος ασυναγώνιστων υπηρεσιών και ανέσεων σε αυτό το ξενοδοχείο της Σατούν. Αυτό το ξενοδοχείο προσφέρει πολυάριθμες εγκαταστάσεις για να ικανοποιήσει ακόμα και τους πιο απαιτητικούς πελάτες του. Η ατμόσφαιρα του Pimarn Guesthouse αντανακλάται σε κάθε δωμάτιο. Στην ιδιοκτησία θα βρείτε πετσέτες, σύνδεση internet (ασύρματη), ασύρματη σύνδεση internet (δωρεάν), κλιματισμός, γραφείο, καθώς και πολλά άλλα. Εξάλλου, το ξενοδοχείο διοργανώνει πολλά ψυχαγωγικά δρώμενα έτσι ώστε να έχετε πολλά πράγματα να κάνετε κατά τη διαμονή σας. Όποιος κι αν είναι ο σκοπός της επίσκεψης σας, το Pimarn Guesthouse είναι μια εξαιρετική επιλογή για την διαμονή σας στη Σατούν. We got the boat from Langkawi and stayed 2 nights which was more than enough as there isn’t anything to do here. We got a taxi from the ferry which cost us 150baht. The place is what you pay for the staff are really helpful & it has a hot shower! You can rent a bike from here there are 7elevens close by. We are both nights at ok’s bar. On our second day we drove the 3 hour round trip to phy pha phet cave. Now we’re on our way to Hat Yai which the lady here has sorted our transport out for us. Great place to stay with fantastic owners who go out of their way to help. Staff was lovely, drove us to bus depot free off charge and let us use his personal computer to book flights and print documents. Wifi worked fairly well, room was nice and tidy with good ac. Would stay again!! 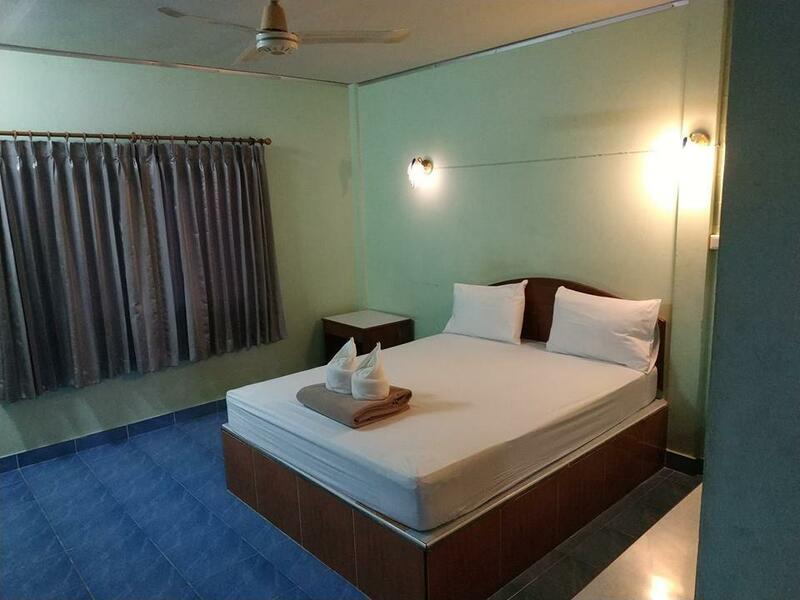 I booked the A/C room through Agoda for 375B and found it excellent value. Quiet, roomy with its own ensuite and working A/C. A bit sparse but the bed was and odd set-up but very comfortable. I had a bicycle so it was easy parking. It'd be great for a m-bike too. Just a quick walk to the shops and local museum. Its just behind the police station From reading the other popular places to stay this was a good choice. I stayed 2 nights. Not fancy, but fine for a stop over. I would like to stay longer. One night is not enough for this small but very nice town. As for hotel... It is in a great condition. Its owner is an extremely helpful nice guy. I would be happy to have him among my friends. You can't complain as the price was cheap. Good for transit if you not fussy. The host was wonderful. He was very helpful and drove us to the pier. The room was spacious and clean. Would highly recommend. nice room, TV air-con etc, helpful staff. Basic, but value for money. Place is centrally located and had a nice typical Thai atmosphere which we liked very much. Owners are very friendly and helpful. The man even gave us a free drop off at the pier! Definitely recommended if you don't mind basic. perfect place for a stopover while heading to Ko Lipe. 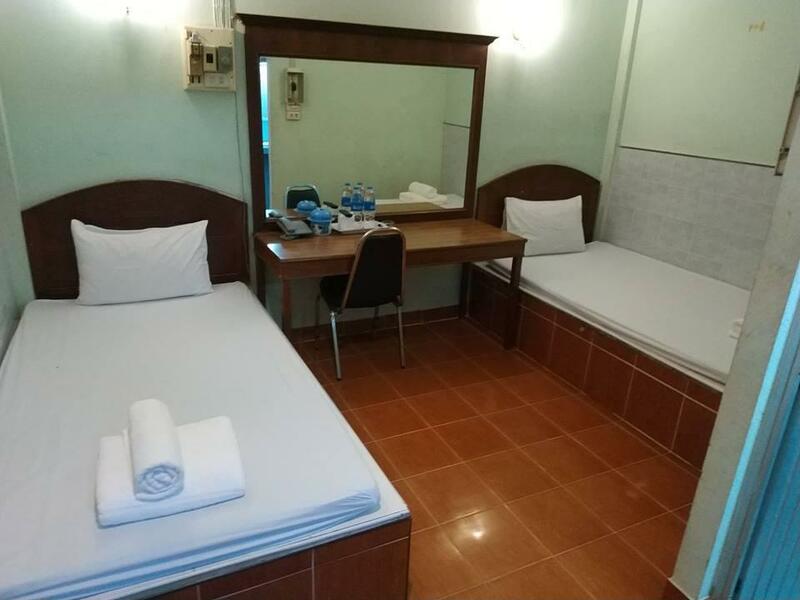 Super helpful and friendly staff (they even help you to flag down the right minivan on the streets to reach the first ferry in the early morning), cozy beds, strong ac. 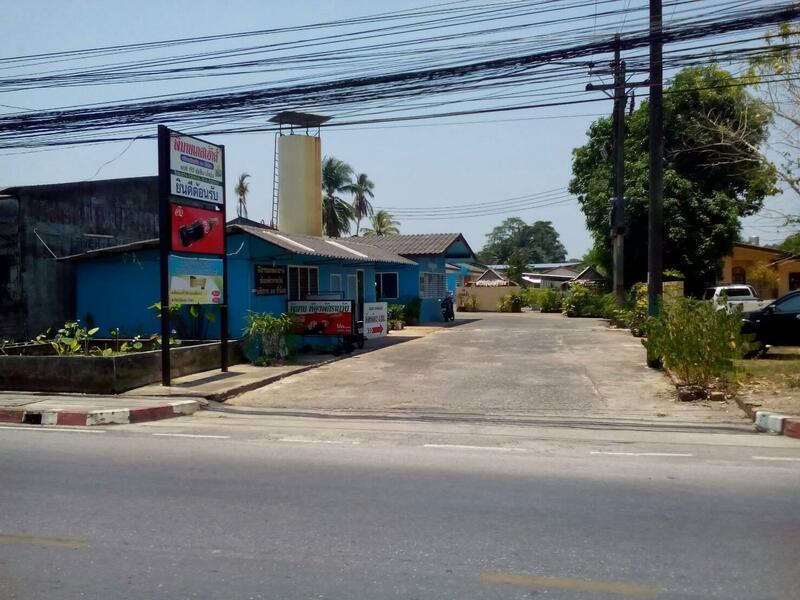 But it might be hard to find this place, as their sign is written in thai only... it's 200m off the main road (Satun Thani Rd) on the right hand side. If you're in front of the hospital, turn around and search again. Da wir morgens die Fähre nach Langkawi nehmen wollten und abends in Satun angekommen sind, war dies eine optimale Unterkunft, Nahe bei ATMs, 7/11 und einem Nachtmarkt. Für 100 bhat wurden wir an den Fähranleger gefahren. waren eine nacht hier auf der durchreise um nach langkawi zu kommen. dafür gut geeignet. zweckmäßig eingerichtet und sauber. der besitzer hat uns sogar am nächsten morgen umsonst zur Fähre gefahren und war sehr nett. toll. vielen dank! Гостиница похожа на таксопарк. Домики выглядят, как гаражи. Вековая пыль под потолком, на стенах, на TV. Ванная, фу... запах, душ почти над унитазом, дверь - лист железа от забора. Инет, мало помалу работает. Кондиционер. Утром бесплатный кофе. Есть столовые приборы, чайник, на ресепшене. Хозяин довозит до пирса за 100 бат. Все средненько, без провалов. Нет ни велосипедов (в описании беслатный прокат), ни барбекю. Можео использовать общий холодильник. Хозяин угостил кальмарчиком - вкусно.